Regional Dance America sadly announces the passing of one of the founders of their organization, Peggy Girouard. As one of the five Director Emeritus’ of Regional Dance America, she was instrumental in establishing RDA, formerly the National Association of Regional Ballet (NARB). 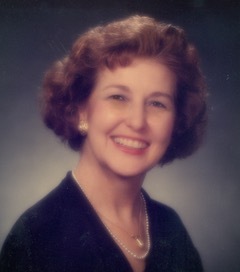 Peggy was Co- Director of member company, Allegro Ballet of Houston since 1951 and Life Member of Regional Dance America Southwest. Peggy Girouard and Glenda Brown, who continues to serve as Director Emeritus for RDA, worked together teaching and directing Allegro Academy of Dance and Allegro Ballet of Houston until Peggy retired 10 years ago. Peggy was born in Corpus Christie, Texas in 1933 and died on January 21st at age 84 following a lengthy illness. A memorial service will be held later this spring at Forest Park Lawndale, in Houston. In lieu of flowers, donations may be made to All Texas Dachshund Rescue, Allegro Ballet of Houston and the Alzheimer’s Association Houston and Southeast Texas.